The BEenerGi programme provides technical assistance on matters relating to energy efficiency, renewable energies and promoting forest biomass for skilled jobs that local authorities in the Girona region entrust to Girona Provincial Council’s Environmental Service. The application form for assistance through the Services Plan for the promotion of energy efficiency and renewable energies, and the promotion of forest biomass is available in PDF format on Girona Provincial Council’s website (Inici > Àrees > Territori i Sostenibilitat > Medi Ambient > Pacte d’alcaldes). Technical assistance needed to improve energy efficiency in public exterior lighting, by signing contracts with energy service companies (ESCO) or through other financing schemes. Technical assistance needed to improve energy efficiency in public buildings, by signing contracts with ESCOs or through other financing schemes. Technical assistance needed to install forest biomass boilers or heating networks or boilers that combine the use of other sources of renewable energy, and carry out other installations to obtain greater energy efficiency in buildings, by signing contracts with ESCOs or through other financing schemes. Legal and technical advice regarding the process of improving energy efficiency in public lighting and public buildings by signing contracts with ESCOs or through other financing schemes. Technical assistance for creating planning instruments for producing and distributing forest biomass. This assistance can be requested by local authorities in the Girona counties that have signed the Covenant of Mayors and which have an approved Sustainable Energy Action Plan (SEAP). Requests must be made through the Services Plan for the promotion of energy efficiency and renewable energies, and the promotion of forest biomass. Is it compulsory to apply through the Services Plan in order to receive assistance from the BEenerGi programme? Yes, applications must be made through the Services Plan in order to obtain the technical assistance provided by the BEenerGi programme. Nevertheless, it is possible to request a preliminary visit to assess the specific needs your municipality may have. 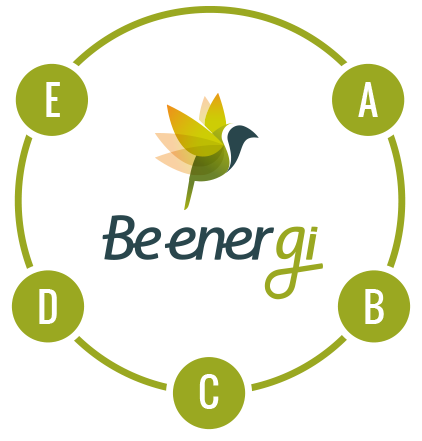 Who can request assistance from the BEenerGi programme? Local authorities in the Girona counties that have signed the Covenant of Mayors and have an approved Sustainable Energy Action Plan (SEAP). What is the deadline for requesting assistance from the BEenerGi programme? There is no deadline for requesting assistance. Applications will be accepted throughout the duration of the BEenerGi programme. How much does assistance provided by the BEenerGi programme cost? All the assistance provided is completely free of charge. Who must sign the Services Plan application? The mayor or the secretary of the local authority can request assistance from the "BEenerGi" programme. Which clauses in the declaration (4th section) need to be checked? All three clauses must be checked for the application to be accepted. How do we submit the Services Plan application? Preferably, electronically (via EACAT, the Catalan administrations extranet), although applications can also be sent to Girona Provincial Council’s Environmental Service by registered post. How can we submit the application via EACAT? Access the EACAT system (www.eacat.cat) using your personal username and password, then click on the applications tab (tràmits). Next, click on the Girona Provincial Council-Send documentation (Diputació de Girona-Tramesa de documentació) option in the Local Authorities (Ens locals) column. A list will appear from which you should select the Submit local authority territorial action/Initial submission (Tramesa d’acció territorial dels ens locals|Tràmit inicial) option. Then simply follow the steps of the programme and attach your application. *To access the application you must have the appropriate role. **EACAT function is subject to modifications and may differ from that described here.